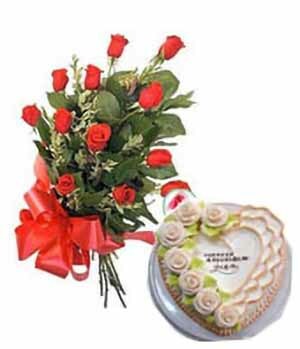 Flowers: 12 red roses, fan-shaped, transparent plastic paper, the ribbon of Butterfly ligation. Cake: cream cake, butter is packed around roses, the middle of "Happy Birthday!" the words.